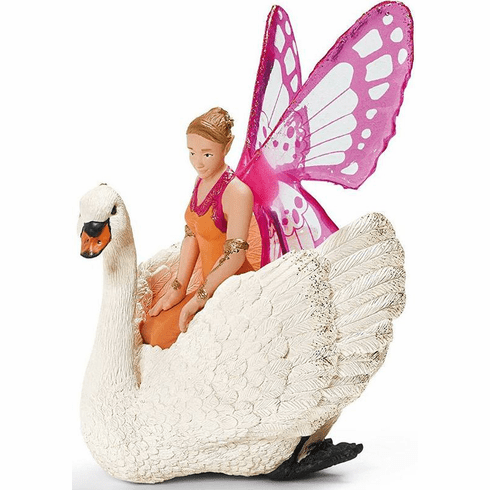 Butterfly elf Zarinya is carried smoothly on the back of her favourite swan across the lake. Out there, amidst the flat and deep-blue surface of the Bayala lake lies her islet where she lives with the magic swan family. She often stops by her friends in the elf city of Soleya. At the lakeshore, the magic swans then wait for Zarinya.